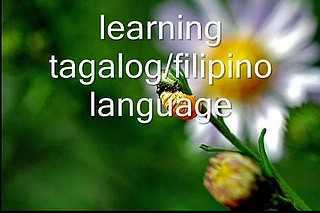 How Easy is to learn the Tagalog Language? I started to learn the local language and failed incredibly. Even if I had a whole sentence in my head my English pronunciation made it laughable. I gave in. I will say that I am able to communicate mainly I English in most places. The only issue is if someone does NOT want to deal with you, (customer services) they pretend not to understand you. Most signs on the road or on buildings and official documents are in English. The main exception to this is when going into restaurants. For some reason the English mostly disappears here and you are left with a combination of words and the strange one off English word thrown in for you to try and decipher. Now Pigs trotters, Pigs armpits and other strange animal parts even if written in English are not going to entice you to sit down and eat. Most waiters can explain the menu to the pint of which meat it is and what it is served with. Please do not try and change the menu, in other words do not ask to have it without prawns or with extra vegetables- this rarely happens. All shop signs are in English. The aisle descriptions are in English. To be very honest, as a lazy English man now living in Manila I probably have a communication problem once a week. 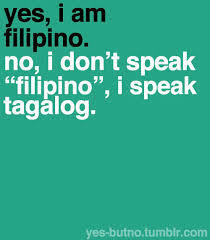 Most of that is down to the English under pronunciation and the Filipino over pronunciation. I tried to get a towel in a store. My pronunciation of this easy word had staff confused and in tears of laughter. When they pronounced it back to me it was to my ears the very same word but vastly over pronounced. When on a plane the announcements mean nothing, but then for some strange reasons words like “overhead locker” appear during the Tagalog announcement. I always smile when an English saying or word comes up. My Filipino friends see nothing strange about this at all. Lovely article john, I know the feeling, I’ve been with the wife over 2 years now, and I had an agenda, it was to learn tagalog, well guess what. 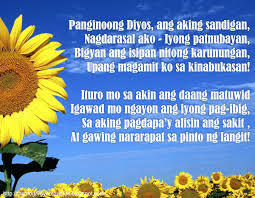 I’ve learned 10-15 words so far, I need to get back into it, my daughter reads the tagalog dictionary and she can count from 1-20 tsk tsk all by her self. Made me ashamed she’s so Determent to learn, so my turn now, I want to know a few so when we head back over to PH, at least I know what people might be thinking or saying good or bad haha…. Then I can yous the words I know obviously bad words hehe.